Summary This installation is a photovoltaic showcase. The achitectural integration quality is remarkable. This ambitious project has been possible due to the extreme motivation of the pedagogical team in charge of it. All the students were involved in the project. 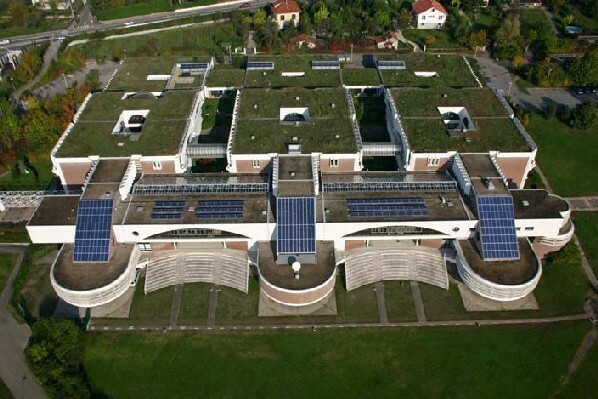 Part of the PV-system is integrated to inclinated glass roofs.